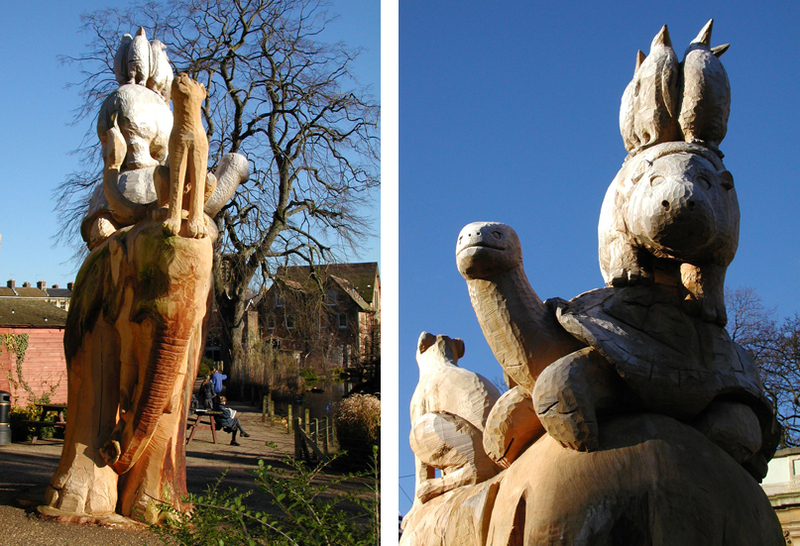 The Elephant Tower is 4.5m high and was carved from a standing Cedar of Lebanon tree which had started to die. The work is all based on animals at Bristol Zoo which Phil and Diane spent time observing and drawing. Phil started the carving in early spring before our working trip to Canada and completed it by late Autumn on our return. Sadly Wendy the Elephant had died in the September, so in a way it could be seen as her memorial.